Like many other social media sites, YouTube has been implicated for its role in the spread of fake news and misinformation. After major news events such as the Las Vegas shooting, viewers have found conspiracy videos at the top of their search results. While YouTube has tweaked its algorithm in an attempt to crack down on those types of videos, it has still run into trouble around the globe as its users continue to spread misinformation. Now, YouTube is taking several more big steps in its fight against fake news. It has announced a $25 million fund that will support legitimate news organizations around the globe. 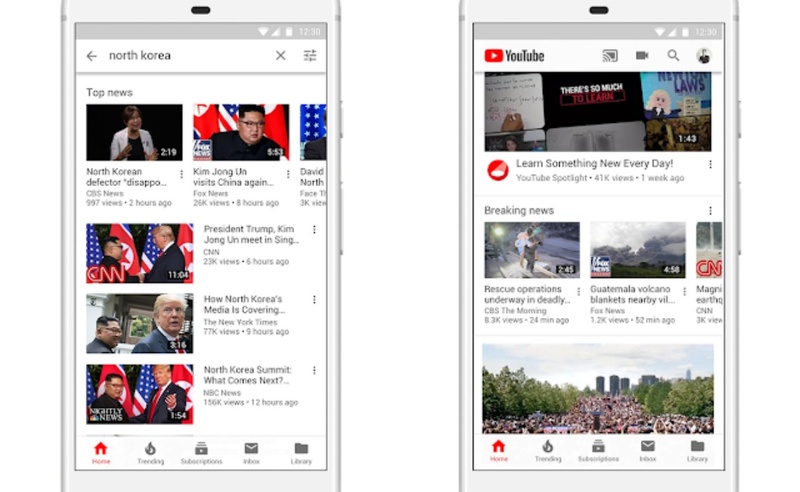 In addition, shelves of trusted news content and links to reliable sources will begin to appear across YouTube’s search results, its trending tab, and its homepage. The fund will support “news organizations of all types,” who will be able to use their newfound capital to “build key capabilities, train staff on video best practices, enhance production facilities and develop formats optimized for online video,” according to a blog post attributed to YouTube Chief Product Officer Neal Mohan and Chief Business Officer Robert Kyncl. Media organizations that are interested in learning more about YouTube’s initiatives can inquire here. Other changes will attempt to lead viewers away from misleading content. When users search for breaking news coverage, they will be greeted by text boxes that will link to trusted articles about those events. Similar boxes will appear on videos related to topics that are often of interest to conspiracy theorists, such as the first moon landing. 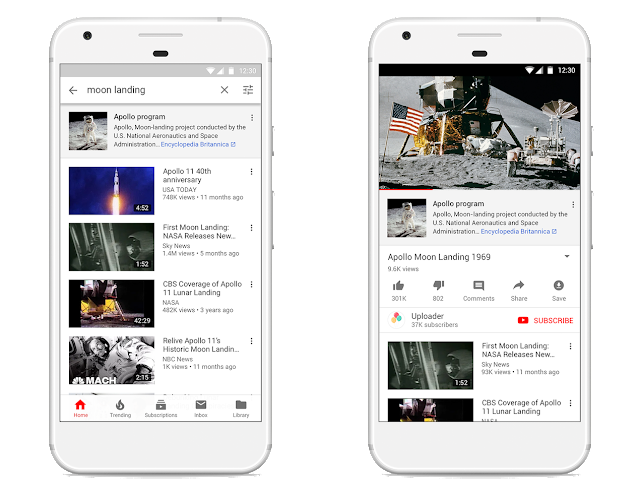 YouTube has also announced a more broad implementation of the Top News shelves it announced earlier this year. Users browsing search results and the trending tab will now see videos from trusted sources at the top of their feeds. While misinformation may still be available on YouTube as these changes go into effect, the video site is hoping it can at least mute content shared by deceptive actors. To read a full rundown of the planned updates, head over to the YouTube blog.